If you are going to visit Disney World the first time, then you may need some Disney World tips. Often it is seen that most first time visitors make a lot of mistakes. There are plenty of things that are quite impossible until you visit the parks. Not only that, Disney World Park has organized many events throughout the year. Due to not having clear ideas about these issues, there might be problems creating a new trip plan to newcomers. Keep this issue in mind; we’ve listed some important things which first time visitor ought to know. These Disney World tips will be quite workable if you are planning to visit the park in recent times. Even if you have already visited once, these tips will get a lot of new information which will be very helpful for your next journey. These Disney World tips collected from the experiences of the visitors who have visited the park several times. Let’s see the basic things that first time Disney parks visitors should know. At the beginning of your planning, you should make a research on Disney World for its necessary information. The information like how big the resort is, what are the main attraction of the park, the open and closing time, what are the upcoming seasonal events going to held, etc. Even if you think that you are quite familiar with the park’s basic, you should research the latest updates. For Disney World trip, great planning means vast options. That’s why I recommend planning should start from at least a few months in advance whenever you want to go. Disney World is so popular and so many people visit it every year that it stayed crowed throughout the year. For this reason, if you do not make reservations before most of the place, you can be deprived of enjoying it. For example, dining reservation for all on-site Disney restaurants can be made up to 180 days in advance. Mainly when Disney offers any special discount and during favorite travel times, all on-site resorts are booked in advance. If you want to drive your Disney trip on a budget then these discount offers will quite helpful for you. You can make your first trip at Disney World great at any time of the year, but the advance information about weather and expected crowds can help you get prepared correctly for the trip. For many visitors, choose the trip time depends on work and school vacation schedules. You should also consider some other factors to select the date such as crowds, weather, cost, etc. Usually, the resort prices and crowds become high at the favorite travel times of parks such as winter and spring breaks, the week between Christmas and new year’s, summer vacation, etc. Summer and winter both are not such a good time for its unpredictable weather. 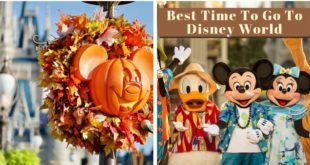 My Disney World tips for first time visitor is trying to choose the fall for the trip. It is the best time to go to Disney World, and you can enjoy the special event also. It is one of the best Disney World tips among this list. You can use the “My Disney experience app” on your android mobile to get the quick service of restaurants. You don’t need to lose your time waiting in line. You can place your order wherever you are for saving your time. You have added everything that you want in your cart and then review the order place it using the app. The park currently accepts Disney dining plan, debit cards and credit cards for mobile order payments. Another important Disney World tip is; do not forget to take a power bar when you pack for your vacation. From my experience, most of the hotel rooms do not have enough sockets or rest sockets are in awkward position throughout the room. So for ensuring you’re, all electronic devices are correctly charged a power strip is essential. We usually pack quite a big bag due to visit somewhere for a few days. And so, my next Disney World tips, try to know what to bring to Disney world. You should keep some free space in your bag. Take only a few more necessary things. Because you need more room to carry souvenirs. And another practical reason is a lightweight bag will be easy to bring the whole trip. Beside this, you may know that usually a large bag is not often allowed on rides and there are free spaces are rear to leave your bags while you ride. Don’t forget to take a power bank as reserve power for your phone and camera. Most of the time of the day you will spend in the park, and your phone will be used frequently. As a result, you may run out of power before you finish your day. During this situation, your portable backup battery pack will help you to continue the use of devices. FastPasses give you a fantastic opportunity passes a one hour window, and during this period you can enter at any attraction and ride with little to no wait. You can book these FastPasses up to 60 days in advance from your vacation if you are going to stay at onsite and 30 days in advance if you are going to remain at offsite. Note that, you have to go with some procedure to book FastPass. You can make a research on the internet and Disney World web page for detail information. You are allowed to book in advance three FastPasses per day, and all passes should be for the same theme park. 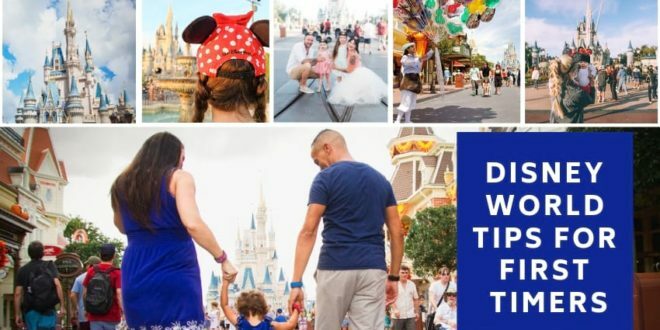 There is a complimentary transport service on behalf of the park from Orlando Airport to Disney hotels, and people love to use this Disney’s Magical Express. This transport service is quite popular among Disney visitors because of the rental car at the airport can be too much expensive. You can avoid renting a car in two ways. One is, you can rent your car from off-airport location, and another is you can use Disney’s Magical Express. You can also make a call for Uber or Lyft. These services are also budget-friendly and better than having a rental car. We all know that Disney World Park is such a big area that it is quite tight to visit it on foot. During your trip, you may tire out walking around the park for a whole day long. So if you are not physically able, then long term travel at Disney World can be painful for you. So, if you plan to stay the entire day at the park, then my next Disney World tips are that you should physically get prepared it. You can start some freehand workout from a few days ago from your departure date. These freehand exercises will help you walk for the whole day in the park without fatigue and blisters. You may don’t have enough time to cover each park. You should arrange a guide for all entertainment, attractions, and rides of each park. There are various parks in Disney World; these are Animal kingdom, Hollywood Studios, Epcot and Magic Kingdom. Try to know the ride guide and attraction of these parks before you set up your plan. It is open truth that information in printed word is quite more than the internet. My next Disney World tip is; consider buying a guide book before you start your planning. Try to buy an accessible guide for planning your Disney World trip. Although many people prefer online to get updated information, I like the printed guide book for details. Many people were unable to create compatible plans between the time and the size of the park during the first time of their travels. As a result, the schedule becomes very tight. If you have such problems in your planning, then you will be exhausted at the beginning of the journey. And you cannot enjoy enough the rest days of your trip. Remember that this is a vacation, so it is not necessary to keep every moment busy. Trust me; it is super money saving Disney World tips. Refillable means the container you can fill again after finish the water, and it is quite good for the environment also. You can quickly become thirsty because of long walks in large parks like Disney World. So it is essential to drink healthy water to avoid dehydration. If you don’t like plain water then can use flavor packs. One of the critical Disney World tips is made an advance dining reservation. You have to make this reservation at Disney World restaurants at least 180 days before your trip. You have to do this in advance because the favorite restaurant like Chef Mickey’s, Be Our Guest Restaurant, Cinderella’s Royal Table and Le Cellier book up months in advance. Since all the restaurants are already booked, you can also make your reservation adequate time ahead. Otherwise, you will have to stay hungry while traveling. Don’t plan to travel the whole day long without any interruption. It is a horrible idea. It will burn you all energy on the first day and the rest of the day of your trip will be very pale due to your fatigue and tiredness. So time to time take a short break from your tour and go back to the resort for a nap. You can pass your free time by sitting a character lunch or pool time also. If you don’t have a trip to Disney World yet, then you may have a not clear idea of how much you have to walk during the visit. Don’t forget to take your comfy shoes. You will not want to have sore toes and blisters on your first day. Ponchos are other essential elements that you will badly need at the Disney World. Though the park authority sells their won ponchos, they are quite expensive. You are not bounded to buy these adorable ponchos at all; you can buy them if you are not prepared. If you are planning your Disney World trip on a budget, then my next Disney World tips bring your ponchos. You are allowed to be crazy to take photos. No matter what people say about you, it is your dream vacation you should make large memory by taking pictures. Forget everything; take pictures as much as you want. Just keep in minds that do not let your photography cause another person’s annoyance. Others like you are here to enjoy their vacation. So you can not waste any other holiday for your pleasure in any way. The sun in Florida is much hot throughout the year. You might be surprised to know that Florida is still warm enough in the cloudy and humid weather. For this reason, do not forget to use the sunscreen for you and your family members. You should apply it before you leave your hotel. If your child is with you on this trip, take a look at his packing. Take his/her necessary things. Such as diapers, baby food, wipes, extra clothes, stroller, etc. The park authority imposed some conditions for carrying the straw. Check that your stroller is filling this condition beforehand. Or some of the best strollers for Disney World are available in the market; you can buy them according to your requirements. We have already discussed some Disney World tips in our above discussion. Here we listed some more Disney World tips and secrets which can make your vacation fantastic. Let’s see the tips and secrets. Do you have your baby’s birthday during the Disney World trip? Do you want to surprise him/her on your baby’s birthday? You can make a wake-up call from Disney characters. You have to do ask a Cast member and talk to the front desk to help you set them up. Trust me; it will be the most pleasant surprise for your baby. If you have a kid, then you can take advantage of the baby care center situated at both parks. You can go shopping for various baby necessities from this center. You can use this center for feed and change babies and can take a break with your little one. Our next Disney World tips; use a Disney travel agent. These agents are quite knowledgeable, and the most beautiful thing is that you don’t need to cost anything for their advice. They will advise all related things like how to make your dining reservation, what parks to go to what days, which fast passes to get etc. Buy gifts, uniforms, and souvenirs are a part of the vacation. But if your trip is going under a limited budget then try to buy them from the Disney outlet. It is one of the most important money saving Disney World tips. It is not any secret Disney World tips, but no one notices the fantastic part of this activity that why I’m am calling it secret. You can’t imagine how much fun to collect these cards. You can ask for your transportation card to any Disney World transportation driver and most of the time they have. Are you going to visit Disney World for the first time? This famous park has so many fun things to enjoy that many people have been confused during their first visit. Here we listed some fun stuff that you must do at Disney World. It is one of the main attractions of the magic kingdom. After the super success of the movie Pirates of the Caribbean, the park has added some fantastic features to this old attraction. It is quite better than before so do not miss it. The animal kingdom is one of the famous parts of the Disney World. The main attraction of it is Kilimanjaro Safaris. But it is not the only of the list. Plenty of thrills rides and summit here as well. The most significant draw of this park is Expedition Everest. You must enjoy this summit during your trip. Disney World has two amazing water parks-Blizzard Beach and Typhoon Lagoon. We suggest you as our next Disney tips that you should visit these water parks. These are the most exciting and fun area than other parts of the park. Disney World is always crowded and delighted. But the fun of Park reached different levels of happiness in holidays. Various events are organized based on holiday throughout the year. Such as Epcot’s international festival, Halloween party, Merry Christmas party, etc. Try to make your Disney World trip during any holiday. Every person including kids should enjoy at least one Disney character meal during their vacation. This meal becomes full of funs when you enjoy your food with some of the most beloved characters for Disney. Your Disney World tour will not complete until you travel to the three-storied mountains of Magic Kingdom. These mountains are Splash Mountain, Big Thunder Mountain, and Space Mountain. So be prepared to climb these fantastic mountains and do unlimited fun. Don’t miss to discover others all Disney resort. It is very unusual Disney World tips. You can check out their grounds, lobbies and other special features that make every Disney resort distinct and exciting. Some of the most beautiful and exciting resorts are Port Orleans, Grand Floridian, Polynesian, Fort Wilderness Lodge, Animal Kingdom Lodge, etc. If you love boating, then Disney World has a fabulous offer for you. Disney’s Campground and Fort Wilderness has a fantastic opportunity to rent canoe and kayak. There are varsities of watercraft such as Boston Whalers, Sea Raycers, and Sun Trackers. You may spend some money but the fun will quite more than that. During the Disney World Tour for the first time, most visitors make many mistakes. Our next Disney World tips are some of the standard errors that can cause the whole trip to be lost. It is a quite impressive offer from the park authority. By signing up for the free vacation planning, you can get various discount offers such as free dining, room discount, a ticket discount, etc. So don’t forget to sign up for a refund. It is another important Disney World tips for all first timer. Though the park stays crowded throughout the year during some specific time and event, the park becomes overcrowded. If you don’t want to lose your valuable time standing in a queue, then don’t forget to check the crowd calendar to find the best time to go to Disney World. If you do not visit the park yet, then you can’t imagine how much you have to walk to visit the park. That’s why to take this advice as Disney World tips and don’t forget to take those shoes which is most comfortable for you. Many people make a mistake during the first Disney World tour. Become so much excited and bought many gifts and souvenirs at the beginning of the day. As a result, many shopping bags have to carry during daytime travel in the park. So, after completing your day-trip, make a purchase. Disney World is quite famous for its food also. You will be entertained with more than 135 dishes. It’s fantastic, isn’t it? Disney offers some amazing meal plan for their guest. If you want to take something light, then Disney quick service is the best choice for you. You can choose the deluxe dining plan for three meals a day also. Rope drop means the very first period when the park open for the day. At this time there is the least crowd in the park. For a family trip, the early two hours after rope drop are the best time for a visit without FastPasses. Because it is the time when the line of most of the ride is very decent, and you have to minimal wait. All visitors of the park especially the first timers frequently ask the question that what are the best Disney World restaurant, resort, and rides. The authority of the park has placed a list of top things that you can’t carry inside along with you. Though the file is not so long if you a first-time visitor, then you should know the list. Alcohol and drugs: All types of alcohol are not allowed, and only some prescribe drugs. Keep a copy of your prescription for security reason. Large bags: You must carry a reasonable size bag pack. A trailer like objects: These types of any objects are also not allowed. This includes coolers on wheels, wagons or anything like this. Large strollers: Disney authority has bound size for strollers. You can carry only 36″x52″ stroller. Please note that you cannot carry larger than 31″x52″ stroller from 1st May 2019. If your vehicle can’t meet the condition, then you can rent a stroller at Disney World. Weapons: You are not allowed to carry any toy weapons to avoid confusion. All guests of the parks are requested to leave their firearms in their hotel safe or vehicles. Selfie Sticks: It may be sad news for selfie lover that selfie stick and any telescopic handheld devices are not allowed at the Disney World. Folding chair: You can’t carry any folding chair or a comfy seat for your personal use. Professional photographer: The Disney World authority not allowed any professional photo shoot at their compound. Animals and pets: Any pets and animals are not allowed at the park, but you can leave your pet daycare located to the outside of the park. • Shorts are, but short-shorts are not. Disney World is so big and so abundant in the fun that for the first time many have been confused about what to do. As a result, they cannot enjoy their trip well. Hopefully, the Disney World Tips discussed above will be very useful for those who travel to the park for the first time. This article is not just the tips; it’s a complete guideline for first-timers. So, get informed all necessary issues about Disney World and enjoy your trip the most If you need to know more about Disney World and the update information then you can visit the official website of Disney World.